This certificate verifies your participation in the global carbon emission reduction. 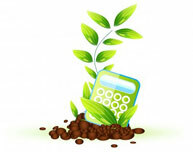 By purchasing carbon credits you become carbon friendly and take your role in saving the Planet for future generations. Being active now gets us to cleaner environment in the future.